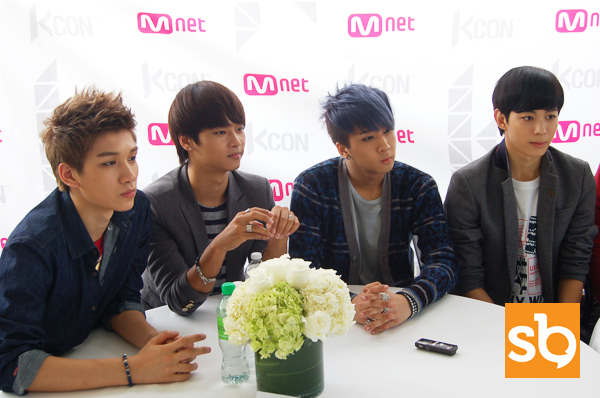 Seoulbeats recently had a little sit down with the boys from VIXX, Jellyfish Entertainment‘s first ever boy group. As you guys know, the members were all selected through Mnet’s reality program Mydol, where the finalists of that program make up the group today. 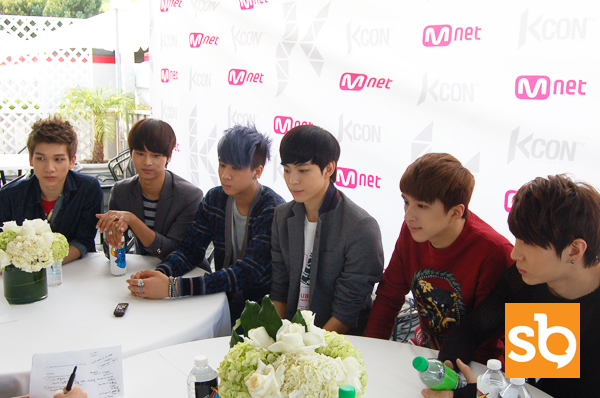 Similar to any other rookie group, the six members were enthusiastic and excited to be in the states to meet their international fans. They weren’t able to speak with their fans as much as they wanted to in English, but it wasn’t for the lack of trying, as the members were eager to communicate with the fans despite the language barrier. Which song did you like promoting better, “Superhero” or “Rock Ur Body”? 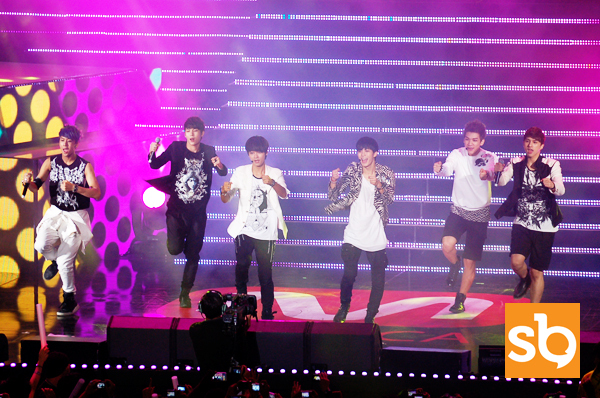 Ravi: We enjoyed promoting our second single, “Rock Ur Body” a little bit more. Not only was it upbeat, we thought appealed to the public more. N: In addition to that, we were able to improve since our debut song, “Superhero” days, so the performances were slightly less awkward. If you could live inside a video game, which one would it be? N: Oh! What a good question. Ken: Maybe I’d be Monkey D. Luffy from One Piece? I know that it’s a popular manhwa, but I also like it as a game. Ravi: I want to go on the cart in Mario Cart, because it’s such a fun game. N: For me, I’d like to be in Diablo. To be the sorceress maybe? I also want to be a magician with my music. Hyuk: Others may think that my answer is weird, but I want to be the soccer goal mesh in FIFA’s game. Why? Because I want to feel the power of the world’s best soccer players. Describe another member in a word or a phrase. 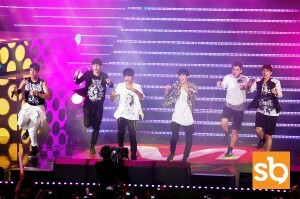 Hyuk: I think N is an ahjumma. He has mother-like tendencies, he tries to take care of us a lot. Ravi: How about 4D for Ken? He behaves pretty questionably everyday. 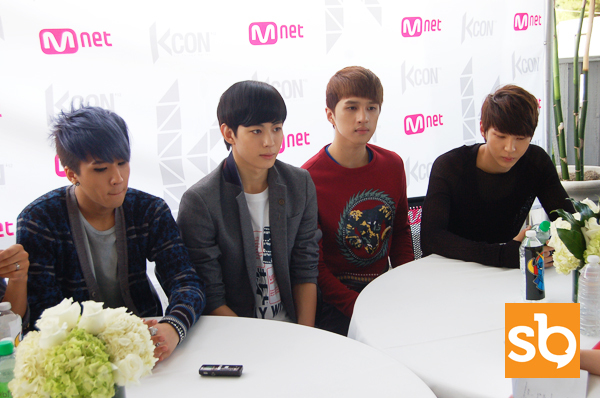 Hong-bin: Ravi is a really hard worker. Even when the other members are sleeping, he stays up to study producing. He also listens to a lot of different kinds of music and tries to practice a lot. Ken: Hyuk is a like a little kid. He’s the youngest of the group but at times, he thinks he’s a man and it’s amusing for us hyungs to watch. Leo – Hong-bin is rather direct; he doesn’t hesitate to voice what’s on his mind. N: How about chic for Leo? Actually, he appears aloof a lot, but he’s actually really kind. What song do you listen to when you are upset? N: I listen to a lot of Sung Shi Kyung sunbaenim’s music, and a lot of Shin Seong-hoon sunbaenim’s as well. If you were on a deserted island, who would you want to be with? Ravi, Hong-bin: We’d all go with Ken. Hyuk, Leo: We want to go alone! Unfortunately we were a little pressed for time with the boys, but fear not, we’ve got a little something for you to make up for it! 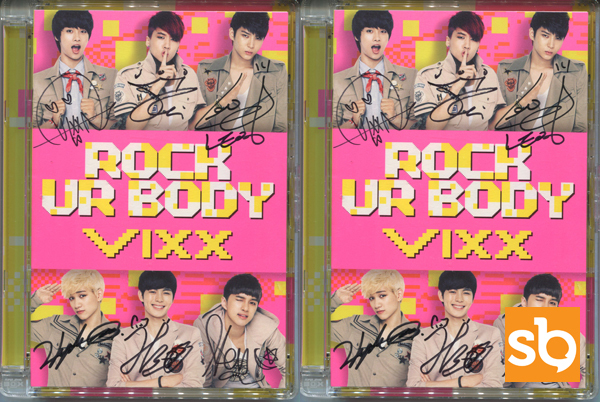 Courtesy of Jellyfish, we’ve got two signed copies of Vixx’s “Rock Ur Body” for you guys. Just leave a comment below stating why you want a copy and tweet about this page to your Twitter followers. Make sure the Disqus account you leave a comment with is tied to a valid email so that if we choose your entry, we’ll have a way of contacting you about your win. We’ll be accepting entries until next Monday, October 22nd, 11:59PM EST. Does Jewelry’s “Look At Me” Draw Eyes?